Downtown Parking - Anchorage Downtown Partnership, Ltd. Parking in downtown is confusing! Find all the information you need here: check out the various parking companies’s options with our handy map, learn what days parking is free, and where to park closest to your location. Anchorage Community Development Authority (ACDA) supports public-private partnerships that are financially sound and align with the mission of ACDA linking new parking development to private development projects. ACDA supports economic growth for downtown Anchorage and wants to be a part of creative parking solutions. Developers building in downtown Anchorage (zoning districts B-2A, B-2B and B-2C) are not required to provide on-site parking for their tenants. However, providing parking for employees, clients and customers is a priority for most major tenants and business owners. Fortunately, Anchorage Community Development Authority (ACDA) is ready to work with and assist developers in identifying parking needs and providing parking solutions. ACDA can assist in achieving economically sound projects for proposed private development by lowering parking construction costs and/or creating a potential positive revenue source for the project. ACDA supports public-private partnerships that are financially sound and align with the mission of ACDA linking new parking development to private development projects. As development in downtown Anchorage continues, demand for parking will grow and ACDA wants to be a part of creative parking solutions for developers looking to add or create parking as part of their downtown development or construction projects. ACDA can assist in achieving economically sound projects for proposed private development by lowering parking construction costs and/or creating a potential positive revenue source for the project. Parking is enforced Monday through Friday 9 am to 6 pm. Parking is free on Saturday and Sunday, and after 6pm on weekdays, but parking time limits are enforced on Saturday. Diamond Parking offers customers a call to park option to make paying for parking more convenient. Just call 877-647-4707 or visit www.calltopark.com to get set up and pay for your parking over the phone. 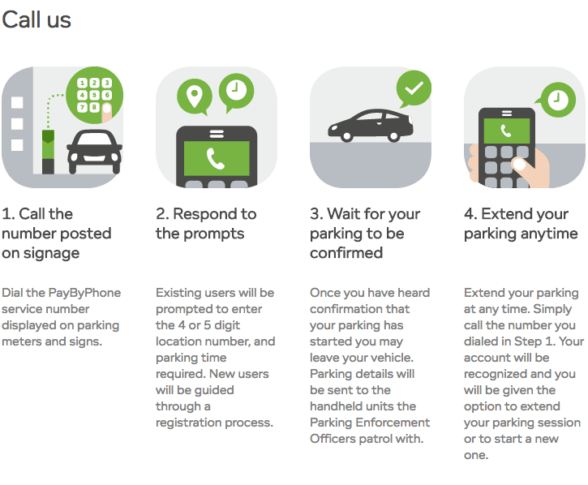 EasyPark provides customers a pay by phone payment option for our on-street parking spaces and in their surface lots. Simply call or log-in the mobile site to activate your parking session. Visit www.paybyphone.com for details and registration. You can also download the paybyphone app. 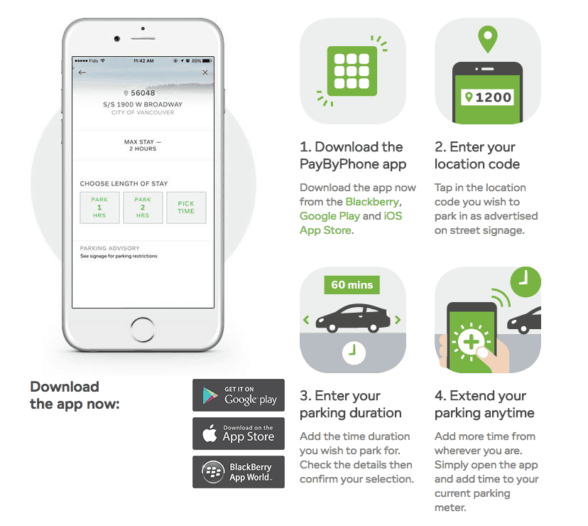 How to use paybyphone to pay for metered parking via their convenient app. How to use paybyphone to pay for metered parking via phone call. 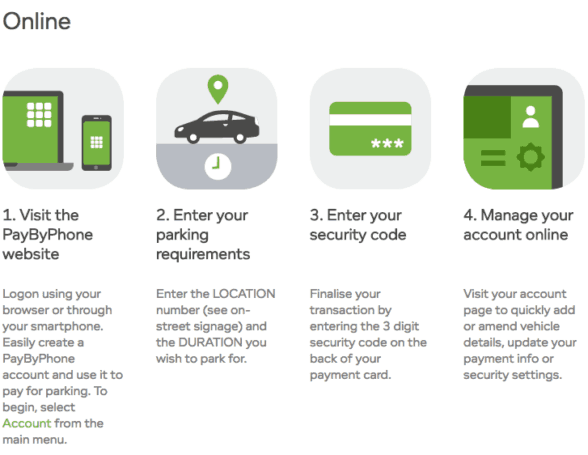 How to use paybyphone to pay for metered parking via their website. EasyPark manages public parking, both on-street metered parking and the larger public garages in downtown. EasyPark strives to maintain integrity, accountability and transparency in providing convenient and safe parking services for the Municipality of Anchorage. From their website (www.EasyParkAlaska.com) you can pay citations, appeal violations, or purchase parking permits. Diamond Parking Service has more than 90 years of parking management experience, making Diamond the oldest and largest privately-owned parking company worldwide. From their website (www.DiamondParking.com) you can find parking lots, pay parking violations and more.